CORENA provides a practical and effective way for ‘the people’ to collectively fund new renewable energy installations NOW instead of just waiting on government action. Australia has the technology for a rapid transition to 100% renewable energy. We also have plenty of people who want to ‘do something’ to achieve a safer climate and keep coal and gas in the ground. CORENA brings together these people and this technology via simple outside-the-box solar funding models that empower us all. Our solar funding models enable all of us who want a rapid transition to renewable energy to chip in and collectively help pay for practical renewable energy projects. Small amounts of money from LOTS of people can reduce Australia’s greenhouse gas emissions and, in conjunction with divestment, help eliminate the adverse health and environmental effects of coal and gas. 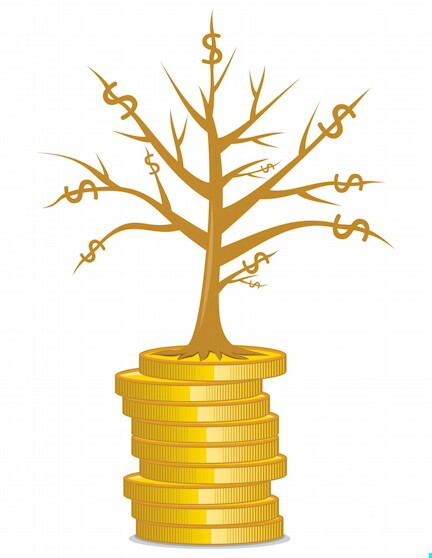 We receive, record, and transparently report voluntary contributions from the public. We spend that money on community energy projects based on expert advice on the most effective use of funds, and we report all expenditure. We believe enough people already want more renewable energy for people-powered funding to be a game-changer. 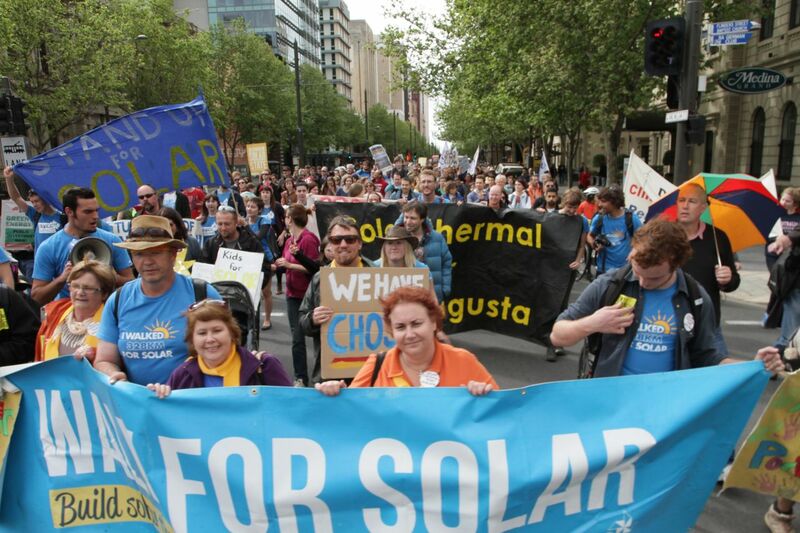 In September 2012, around 100 people participated in the Walk for Solar, walking the 320 km from Port Augusta to Adelaide in support of obtaining some government funding for solar thermal with storage at Port Augusta, SA. But that is just the tip of the iceberg. In 2012, an impressive 735,000 households were demonstrating their support for renewable energy by paying extra to buy Green Power – in effect a donation to renewable energy, but with the money going to commercial projects. If that many households contribute an average of $8/week for just ONE year, we’d have $300 million to invest in community-owned solar projects! Or, if just 10,000 people chip in an average of $63 each to our Quick Win community project revolving seed funds, we’ll be able to keep funding solar installations and energy efficiency for community service organisations forever. For solar project details, see Big Win Projects and Quick Win Projects. 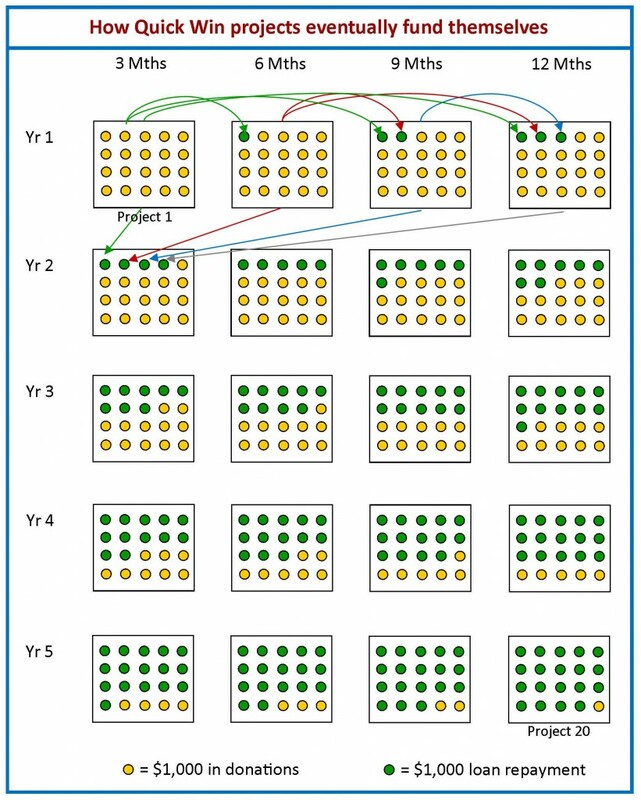 We ask for donations, rather than investments, so that the CORENA Fund will eventually become financially self-replicating. CORENA’s donated seed funds are the seemingly magical key that frees us to pursue what is needed rather than being bound by conventional financial constraints. The thing we need if we want a safe climate is a prompt and rapid transition to 100% renewable energy. 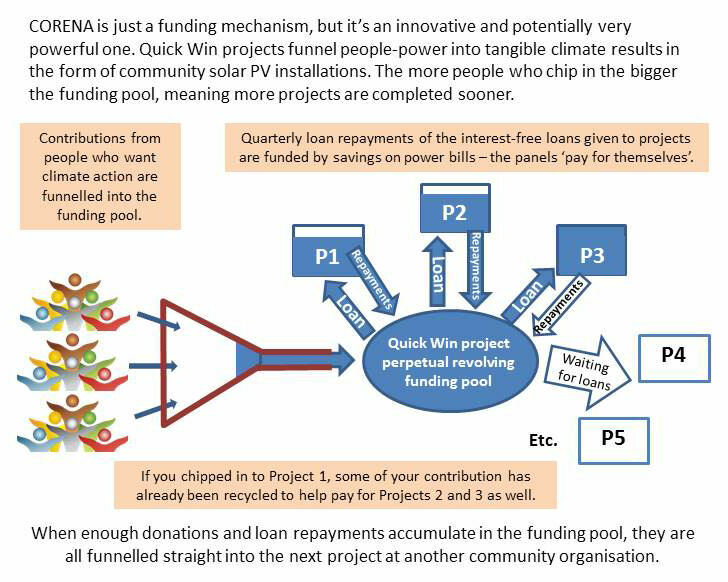 CORENA’s Quick Win community solar projects take the capital expense out of energy efficiency and solar installations for community-serving organisations by using donated funds to give interest-free loans. As the loans are repaid out of savings on power bills, the funds then revolve into the next community solar project, and the next. Once around 60 projects are funded, there’ll be enough revolving seed money to fund one new community project per month forever. 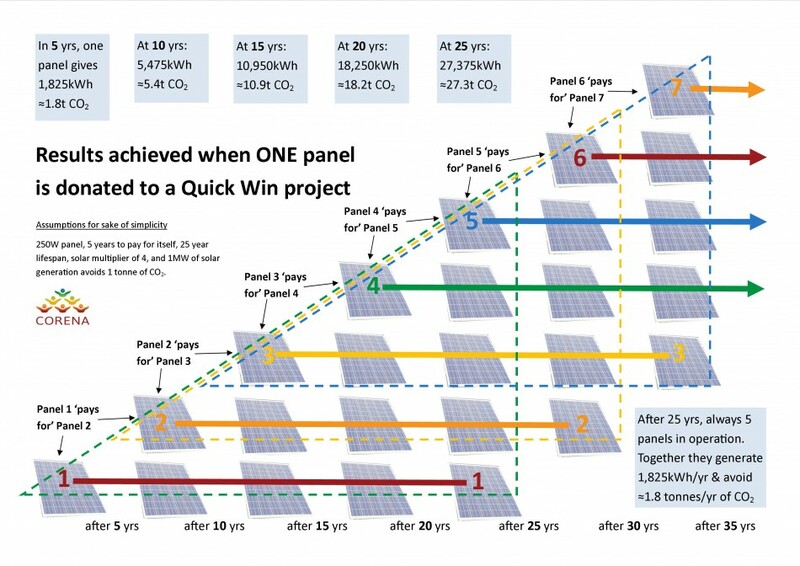 Our Quick Win solar projects will then essentially cost nothing. To reach this point, we’ll need around $630,000 in seed funds, or an average of $63 from each of 10,000 people. Similarly, all loan repayments from or income generated by CORENA’s Big Win projects will be paid forward to help pay for yet more projects. If we manage to build solar thermal with storage as per our original vision, there will be no fuel costs, no dividends to shareholders, and the donated seed capital will avoid the usual cost of capital. This means that in its lifetime, the first solar thermal plant might generate enough income to build three more similarly-sized solar thermal plants. A 50MW solar thermal plant with storage would cost around $300 million. 300,000 people might contribute $1,000 each. Or, 720,000 people might pay $8/week for one year. In practice, we don’t want the donated funds being idle in our account while we wait for enough for a utility-scale project, so for now we are putting Big Win funds to good use reducing emissions via smaller projects. PS: To discuss how you can leave a gift for CORENA community energy projects in your will please contact us (admin@corenafund.org.au). That would be a truly enduring legacy for future generations! Assumptions: Each Quick Win community solar project costs $20,000, there is one new project every 3 months, and loan repayments from each project are $1,000/quarter. This would mean the 20th project would be funded by $19,000 in loan repayments and would need only $1,000 in new donations, and the 21st community solar project would be funded entirely by loan repayments. In practice, most solar projects will cost less than $20,000 and currently projects are taking longer than 3 months to complete, so loan repayments from Project 1 will probably be finished before Project 20 commences, but the general principle applies. Using the above assumptions, only $210,000 in donations would be needed for Quick Win community solar projects to become self-funding. That’s an average of $100 from each of 2,100 people. April 2018 progress update: So far $157,000 has been donated to Quick Win projects, and already loan repayments from completed projects are sufficient to fund one new project each quarter provided it is a small-ish project (up to about 7kW). Since we also continue to receive generous new donations, in practice we are funding larger projects and/or more frequent small projects.